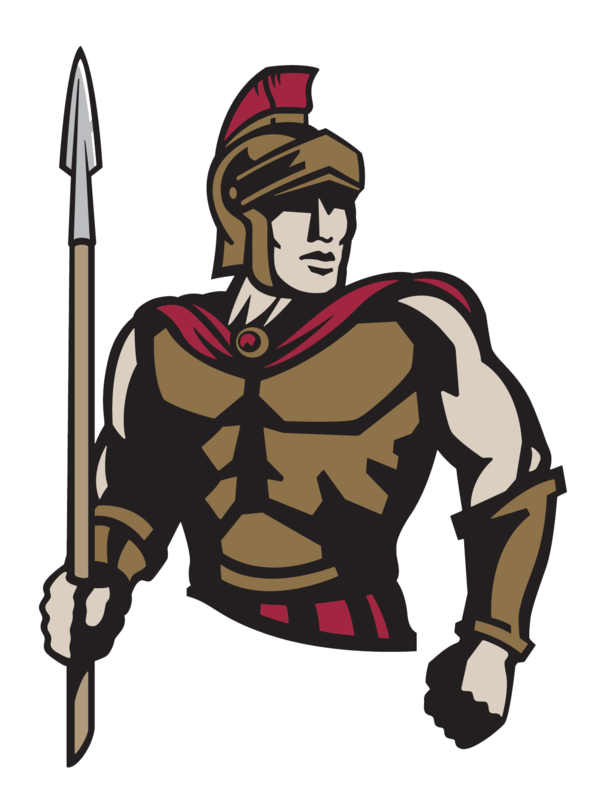 While Jackson is not currently playing for a Cicero team, he is competing and he is still a Centurion. So, I decided I should head to one of his meets and see what all the talk was about. Five hours later, Jackson was collecting medals and I was extremely impressed and proud to be there on his big day. Here is Jackson’s story in 10 questions. How long have you been doing gymnastics? I started around 5 years old. 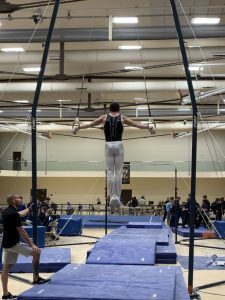 Why gymnastics? When I was in preschool, I was introduced to gymnastics. The school had some mats and basic equipment. I got hooked on tumbling. 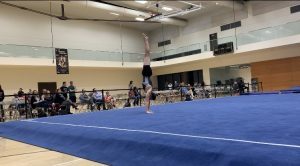 Did you and your sibling all do gymnastics and did you start at the same time? Yes, we all competed, but we did not start at the same time. We all started around the same age of 5 years old though, so I was a couple of years in when Emma and Nathan started. 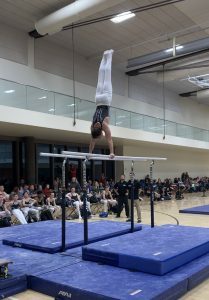 What does gymnastics provide to you, how does it help you? It helps me relieve stress. It also helps me with my time management and ability to prioritize. Having a set schedule keeps things constant for me. What is your favorite event and why? The high bar, because it requires a variation of skills. I can adapt it to my ability. I am still learning more advanced skills. 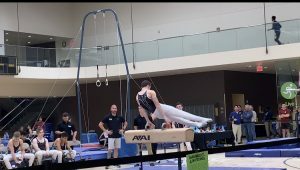 I am currently working on some new moves to prepare for Nationals. What do you give up most with your hectic schedule? Social life takes the biggest hit. I have missed a lot of social events and friends’ events due to my schedule. What are your college plans? It all depends on Nationals and how I do this year. 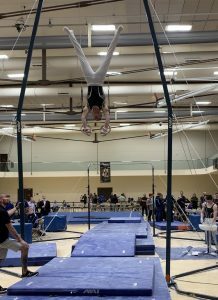 If I perform well this year and feel like my efforts are paying off, I will continue on and look to further my gymnastics in college. Are the Olympics still possible for you? They are still possible at my age, but they are not an aspiration for me. Getting a college scholarship to pay for college would be great and I would welcome that option. What is your diet like? Early in my career, I really did not have a diet. Now that I am bigger and stronger, I try to make sure I do what makes my body feel right, but I don’t follow a real diet. For example, I always drink protein chocolate milk after my workouts to refuel my body. I stay away from high fat foods, like fried foods. Also, 4 years ago I made a New Year’s resolution not to have anymore soda. So far, I’ve maintained that goal. What’s your National ranking? 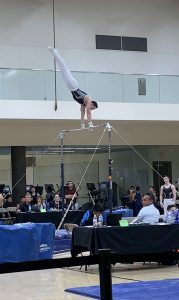 I made the finals at Nationals in 2018 and I am in the top 34 in the country. You may contact AD Mr. Billy Hunt if you have a story like this to share with our Centurion family.